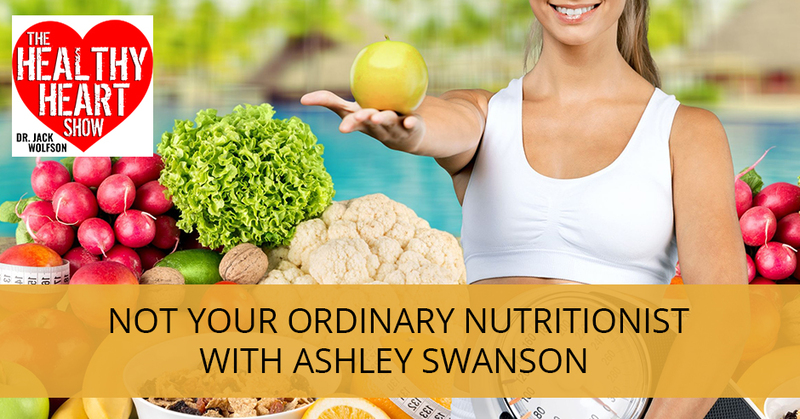 Ashley Swanson – integrative nutritionist, clinical nutritionist, health coach and nutrition education – is not your ordinary nutritionist. She takes health in a holistic way as she aims to help heal people from disease using food and nutrition. She lets us in on her journey to become a nutritionist and the research she has on a protective biomarker that can minimize inflammation and predict disease risk. 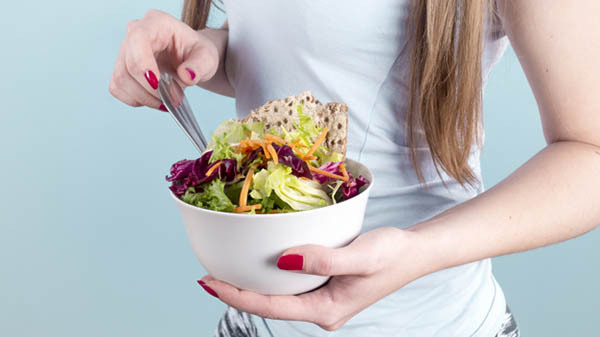 Clearing the distinction, Ashley also differentiates between a nutritionist and a dietitian, giving advice on how you can find a good nutritionist. She then gives out the three foods that everybody should be eating more. 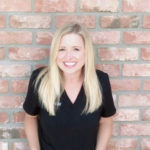 It is my honor and privilege to interview the Lead Nutritionist at TheDrsWolfson.com and in our office in Arizona, Ashley Swanson. Ashley, it’s great to have you on the show. Tell me a little bit about you as far as your background. I want to know everything. Where were you born? Where did you grow up? Then ultimately how and why you became a nutritionist, a Master’s in Nutrition from Iowa State University? I was born in Arizona and then I went to school in Iowa. I got a scholarship to Iowa State University in Ames, Iowa. My Bachelor of Science was in Culinary Science. It was a science degree. It was biochem, microbiology and food chemistry. I wanted the science of it all. Then I decided I wanted to go on and I wanted to get my Master’s in Nutrition. I knew I ultimately wanted to help people and I knew I wanted the strong science, but I also knew I wanted to go on a holistic path. To get there, I wanted that science because in order to make those holistic health decisions, you need to understand how things work in the body, the physiology, and the biochemistry. I got all that from Iowa State. My Master’s was in Nutritional Neuroscience. That was a novel field. They had brought on a new neuroscientist for a professor. The nutrition departments were starting to understand that neuroscience is based on nutrition because that’s going to dictate what happens to the brain. What biomarkers are we talking about? The biomarker I found was called MPTX2 and it was a protective biomarker. The more you have it, the less inflammation. The better memory you had over time, the less breakdown of brain regions. We found that with an anti-inflammatory diet, you could protect that and boost levels of it. With exercise, you could boost the levels of it. With things like education, learning new things, reading books and doing puzzles, it will also boost it because it would form new connections in the brain. All those things set the stage for me coming to join you at the office. It was a nice transition going from Alzheimer’s to cardiovascular disease because there’s a lot of overlap there. Ultimately, my goal all along has been to help heal people from disease using food and nutrition. This is why I’m so happy I get to work in the office every day and I get to see people come off of pharmaceuticals and heal themselves and go on their way just with simple diet and lifestyle modification. I’m passionate about helping patients here in the office every day and getting to the root cause of their disease. You made a great point too that whether we’re talking about Alzheimer’s, dementia or we’re talking about cardiovascular disease, hypertension, atrial fibrillation or we’re talking about autoimmune, doctors are good at coming up with labels. We’re good at pitching and holding someone, “You have these complaints or symptoms and you have these signs of illness, therefore you have this label and then there’s this label.” Whereas someone like you who knows that it’s fundamental that it’s about the nutrition, it’s about sleep, it’s about sunshine or it’s about their lifestyle. When you have health and wellness and you’re doing all that, then we can reverse anything. Whether it’s the biomarkers that you’re talking about. The biomarker that you studied, is that something that’s commercially available for people to study on their own or it’s still in research? It’s still in research but it sets the stage. A lot of medical doctors have contacted me and my professors saying, “We want to start using this in medical settings in hospitals.” That’s been cool to be a part of but stay tuned for it. Tell me again, out of interest in as far as Ashley Swanson. She’s a freshman in high school and she’s like, “Somebody asked me what I want to do with my life.” What does the young Ashley Swanson want to do? How did you decide? Nutritionist: Some of us just get so lucky to be born into the world we were born into. I knew all along I wanted to help heal people. Since I was little, I love food and I love nutrition. I was fortunate enough to love science as well. My mom raised me very holistically as well. I had a lot of homeopathic doctors, essential oils, healthy food, living at whole foods and all those things. It set the precedence for it and then I fell into the Iowa State. I fell into the science of it and then I decided. Things just aligned and then I found you. I knew I wanted to help people ultimately. You’re so lucky that you were born into the world you were born into. With your mom and right from the get-go, holistic health and wellness and healing and that are so important. That’s what we’re trying to train in our office and the show is bringing this message to the world and to everybody from day one in the healthiest way possible. Even before day one, while they’re in utero and even before conception, before the baby is a twinkle in their parents’ eye, to put them on a path to health and wellness and to give them the best chance. We see so much sickness, yet if you do so in the beginning, that’s where all the prevention is. Tell me, what’s the difference between someone who’s got a Master’s in Nutrition or someone who is a dietitian? I get asked that a lot. A registered dietitian is usually a four-year degree. I think they’re changing it to include a Master’s, but registered dietitians can also go on to get their Master’s in Nutritional Science. When I got my Master’s, all the other students were registered dietitians. I was one of the few, one of three maybe who was getting a degree in nutritional science. Registered dietitians are different. They have accreditation through the Academy of Dietetics. They’re a little more governed based on government principles, Food Guide Pyramid and MyPlate. They’re restricted in what they can say because they are having those credits through that academy. I did want that freedom. I wanted to jump into holistic health. I knew I wanted that science. I wanted a Master’s in Nutrition so that I could work here. I could teach nutrition, but I didn’t want to be limited in what I recommend to people. I don’t want to recommend patients to drink milk for calcium. I didn’t want to recommend those things. I totally understand that and in my career, I have never had a good experience with dietitians, working with them in the hospitals or in the public arena. Yet whenever I met a nutritionist, there was congruence there. It’s like their side and there’s our side per se. They’re going to follow MyPlate and the Food Pyramid and the government guidelines that are all written by big agriculture and big pharma where they’re like, “Make sure you get three servings at Cheerios for breakfast and then you got the nutritionist over here and like, “No, don’t eat Cheerios. They’re loaded with pesticides and glyphosate in the new information that came out.” I think and I know you know this as well. Even amongst the dietitians, we can find some good ones that are more in line of thinking with us. That’s why you got to interview those people and decide who you want to work with. I’m out there in the world and I know that I need help with nutrition. I know that I’m overweight. I know that I’ve got food addictions maybe. I know that food has not been my friend. How do I find a nutritionist and what should I look for in a good nutritionist? You can go to Google and search that way. A great thing is I’m here in the office. If you trust Dr. Wolfson, if you trust The Drs. Wolfson, you can come and find me here. If you are looking for a nutritionist that aligns with your beliefs, if you’re not wanting to go down that path of drinking milk every day and not eating certain things or eating certain things based on what a registered dietitian would recommend, you can look for a holistic or integrated nutritionist. Nutritionists are experts in food and nutrition. They’re helping to make the right food choices for patients and address eating behaviors and separating fact from fiction when they’re planning menus. All nutritionists have been trained well in school, they can do that. The key these days and especially what we practice here in the office is to look for a nutritionist that’s an integrated nutritionist or a functional medicine nutritionist, which I would say that I am here in the office. That type of nutritionist is going to do all those same things but they’re going to be more specialized in the field of functional medicine. I get to work with you every day with patients. The philosophy is a holistic, personalized, individualized nutrition care because it isn’t a one-size-fits-all model. It has to be tailored to the individual because in functional medicine, we’re looking at the whole body, not just different specific aspects. We have to take into account what that person has been exposed to throughout their lives, how they’ve been raised or what they’ve eaten every day. All those things will go into play in determining what their health condition is. I agree with all of that and I think it’s so important for people to hook up with a nutritionist, whether it’s with us, The Drs. Wolfson or even if you do go to Google and you search for a nutritionist in your area, that is a good place to start. The ability to speak with someone and also interview them. Maybe let’s spend fifteen minutes talking to each other and decide how we want to work together. There are probably some nutritionists out there that are my way or the highway thinking and like, “This is my program or this is what’s worked.” Yet, a lot of what you’re saying is that what you’re trying to do is you’re trying to engage where the person is at and work with them. Decide what kind of program we can develop with them individually because all of us are coming to the table with our own set of issues. We’re going to need help in a very unique way. When you do interview someone in that fifteen minutes, what are you looking to get towards? I know you’re not going to all of a sudden plop down and say, “Here’s what you’re going to always avoid. Here’s what you’re definitely want to eat a lot of.” Some people will take to that approach well. How does Ashley Swanson go over things in that fifteen minutes? What are the things you’re asking and what’s important to you? Hopefully, people can learn from what I’m saying. I practice here and they can think about that when they’re looking for a nutritionist in their area. Maybe they can apply those things there. In those initial fifteen minutes, it’s diving into the complex interactions and interrelationships that have happened in someone’s life. Looking to discover the origins or the root cause of their illness. Taking down all those different factors. It’s not just diet. It’s their lifestyle. How much sunshine they had, their stress level, and those sorts of things. It ties into my role. I do health coaching and nutritionist work here, but it has to be a holistic approach even with nutrition is what I’m trying to get at. To your point, that additional training is certainly very good but even the common sense of understanding, it’s not just about the food. If people have very poor sleep patterns, when you sleep poorly and you are awake every night at 2:00 in the morning because you can’t sleep, you’re not looking for a broccoli salad. You’re looking for some starchy carbs and some quick sugar and that leads us to spiral where now you can’t sleep. If you’re under stress, typically when you’re under a major amount of stress, you’re not looking for healthy foods. You’re looking for those comfort foods. You’re depleting all your B vitamins. That’s a good point but there are different life circumstances that are either going to cause you to make certain nutritional decisions or deplete key micronutrients. Nutritionist: There are different life circumstances that are either going to cause you to make certain nutritional decisions or deplete key micronutrients. Where do eating disorders come into a discussion with a patient? I know over the years and I’ve seen tens of thousands of patients and you’re taking a history on someone and then they talk about this history of an eating disorder or they were labeled with an eating disorder. The conversation always becomes a little more difficult because you realized that maybe they’ve got some underlying obsessive-compulsive issues. How do you work with someone with a history of an eating disorder and in some ways do all of us have some mild eating disorder? It depends on the individual, but it goes towards food behavior therapy. Sitting down and trying to understand what’s happened in their life and what circumstances have caused them to want to eat the way they do. It has an emotional and mental component to it. That’s going in line with it is not just nutrition, there are a lot of underlying factors like the emotion or how they were raised. A lot of times, we can work on that together if the patient is willing, but if not, they may need to see a therapist or something along those lines to help facilitate and move us forward faster. That would probably be my biggest thing is we have to have that initial consult and go from there. To your point, I don’t know. A lot of us do have our own issues. We may have some eating disorder, whether that’s binge eating or emotional eating or the other end of the spectrum which is anorexia, but it depends on where we’re at in life. Why is it that some people can have a teaspoon of ice cream and they are good and others of us that have to eat a whole pint or more until all the ice cream is gone? I’d say that’s definitely an example of binge eating. If we’re miserable in life, if we’re not happy in our job, if we’re stressed and we weren’t getting those proper coping skills and to understand, step out of our bodies and say, “We don’t need to eat to feel better or at least eat crappy food to feel better.” We can eat healthy food and when we eat those good foods then we’re feeling good. That goes in line with what we do here too. If you have the leaky gut syndrome, you’re not feeling good, your brain’s not working properly or those neurotransmitters aren’t firing, you may not be cognizant of what’s going on either. It’s having compassion for patients and working with our labs but also working with their emotional and mental history to understand why they’re having those food eating patterns. I’m going to put you on the spot here. Give me three foods that everybody should be eating more of but they’re not. What are those three foods? I would say fermented food. We want a lot of those good microbes getting into the gut to heal the gut. I would say dark leafy greens. They’re full of antioxidants, phytonutrients that are going to protect the heart, lower inflammation and help to heal the gut and heart. I would say probably also prebiotic foods. Those are going to go hand-in-hand with fermented foods. Prebiotics are the fuel or the fiber that fuels those good microbes. Leaky gut is the root cause for a lot of things, so getting all that beneficial nutrition into the gut is going to heal the body and heal the heart. You mentioned prebiotics, give me some prebiotic foods. Some easy ones that people don’t think of would be onions, leeks, those things. Those are things you can add in everyday meals you are cooking. You have fibers which are also prebiotics. Bananas have a good source of prebiotics, especially the green ones. Artichokes are a good source as well. What about green banana powder? You see that in the supplement’s aisle at the natural grocery. You see them online. People talking about green banana powder. I would assume that they’re selling that because it’s a fantastic prebiotic. It makes it easy. Pop it in your shake. A lot of our patients actually use that when they’re healing the leaky gut. That’s a great option. Organic, always. Give me an example of a food that they tell us is healthy but it’s not. I always go back to milk because that’s on the MyPlate. Dairy milk is the biggest component, funded by the dairy industry. I would say it’s not healthy. The pasteurized and homogenized milk is toxic. It’s allergenic and it’s highly inflammatory. Along those lines, you don’t need that much calcium. The recommended dietary allowances that say people need this much calcium, you don’t. There are also other nutrients like we know of here in the office that you need if you are intaking calcium sources. I wish in this interview that we could be subbing them the MyPlate or the Food Pyramid so people can see the monstrosity of what that is, in real time as we’re talking about it. On what planet could these people that created these documents and these figures, what could they have been on where they would think that the dairy slice of the pyramid or of the pie or of the plate should be bigger than the vegetable part of it? Where would you come from this? Our ancestors never consumed dairy. Of course, they had their mother’s milk, they have the human breast milk but they never had the milk of another animal. Can you imagine if you try to approach an elephant and try and milk the elephant or giraffe or a horse or even the precursor to a cow called aurochs or something like that? Those things would stop and kill you because you’d be coming up to try and get their milk. They have milk because there’s a baby nearby. You will get nowhere near a lion or a tiger trying to milk it. That’s a great point, no. This has all been fantastic information. We know that people can find you at TheDrsWolfson.com. They can Google a nutritionist in their area. You don’t have to work in person with a nutritionist. All of our stuff is typically done by phone or by Skype or by interviews. Also, the accountability factor. I’m a nutritionist and I’m your friend. I’m here to help you. I’m here to guide you. I’m here to work with you in your life to get you the best results. That’s what we’re here for is that support. It’s what it is. Helping to assess, to intervene, to educate you and to guide you to ultimate health and healing. When you’re not feeling well, it’s hard to do things on your own as well. We’re here for that. We’re so appreciative to have you with The Drs. Wolfson, Ashley. It’s a pleasure to have you on the Healthy Heart Show. Thank you again for coming on. We’ll see you in the next episode. I help people heal from the inside out, nutritionally and holistically. I analyze the whole person for nutritional counseling. I examine nutritional intakes and supplements, along with a focus on lifestyle, prevention and incorporation of natural therapies. I design custom wellness plans and transformational nutritional programs. I assist in all facets of customized meal development and culinary nutrition (the art of eating + cooking for health). I believe in nutrition, health and cooking well. 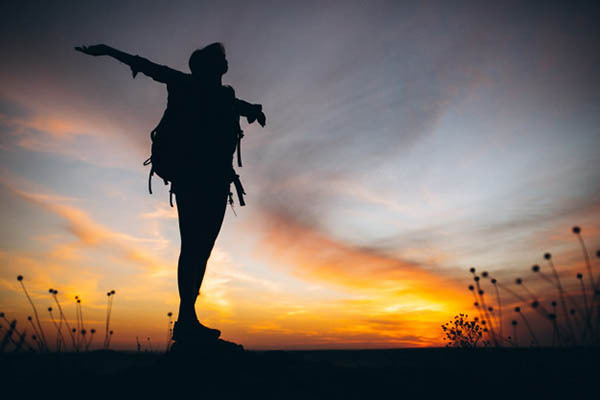 I believe in pursuing well-being through a healthy diet, exercise, yoga, adventure, learning, personal connection and sunshine. I believe that holistic wellness is a fine balance of the mind, body and soul that allows an individual to achieve their highest level of vibrant health and happiness. My Bachelor’s Degree is in Culinary Science and my Master’s Degree is in Nutritional Science, both from Iowa State University. My nutritional neuroscience research has been published in several peer-reviewed journals. I enjoy networking with medical and academic professionals. Please feel free to send me a connection request on LinkedIn. And if you need nutritional assistance in any way, please schedule an appointment with me at my office at Wolfson Integrative Cardiology.